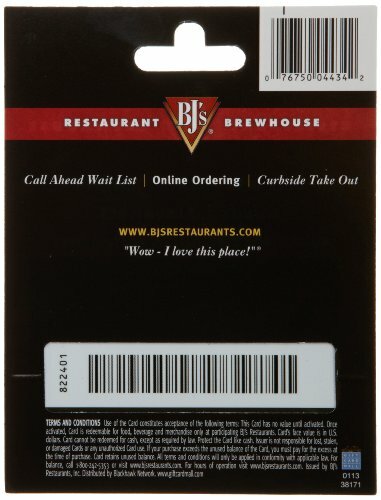 BJ’s is a fun, high energy restaurant with delicious food, and an excellent choice for anyone. With their incredible deep dish pizzas, garden-fresh salads, burgers, signature pastas and entrees; BJ’s actually has something for everyone. Of course, everything tastes better when it’s paired with one of BJ’s award-winning handcrafted beers. 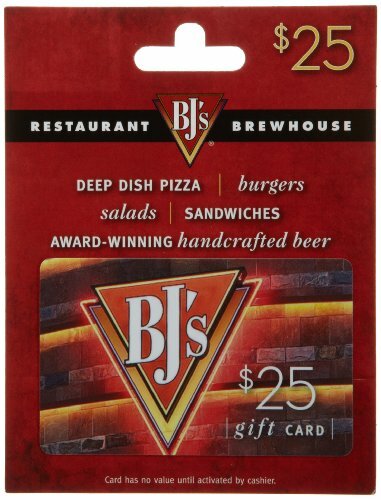 Here at ShopGift.Cards we appreciate a restaurant that is fun and serves great food – BJ’s is one of those restaurants that is worth wait when you show up. Enjoy delicious, innovative spins on your favorite foods, including deep dish pizzas, salads, sandwiches, pastas, steaks, and so much more.